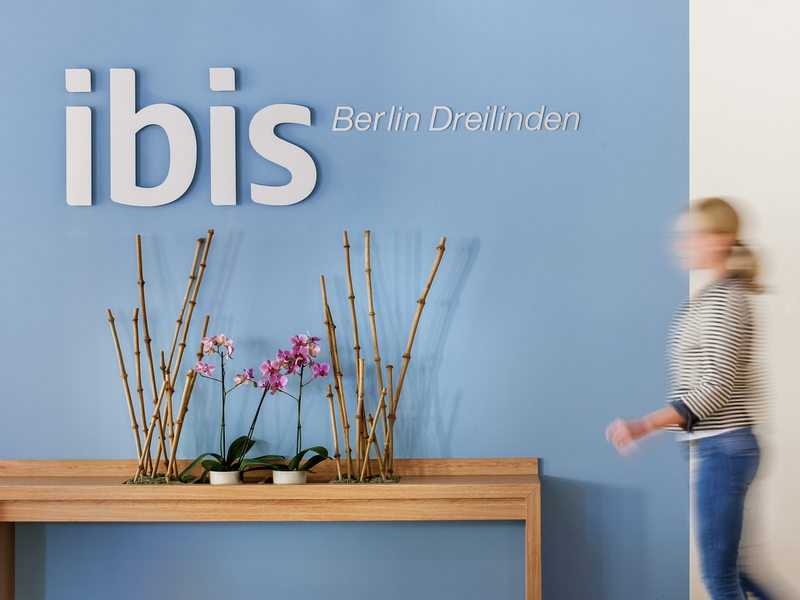 The ibis Berlin Dreilinden combines a peaceful, green setting with proximity to Berlin. Situated right next to the A115 highway between Berlin and Potsdam, our hotel provides easy access to all key destinations. You can park your car for a small charge at the hotel and travel to Berlin city center on the bus and S-Bahn (city rail). Our hotel has 82 air-conditioned, soundproofed rooms, a 24/7 service and free WIFI throughout the hotel. Distance to exhibition center: 10 miles. 81 modern, renovated rooms make for a pleasant stay. The new beds ensure a great night's sleep. All the rooms are soundproofed and include air conditioning, a bathroom, practical desk and low-cost WIFI. Our hotel bar is open 24/7 and is a great place to socialize. Watching live sport events in the Sky sports bar is even more enjoyable with a beer, coffee or snack!